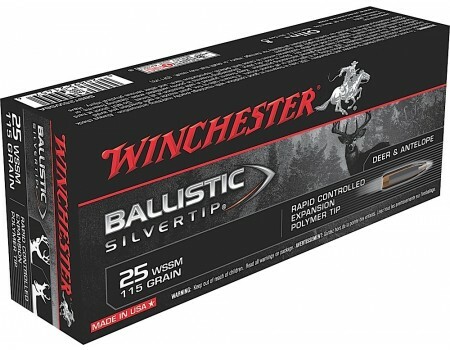 Winchester Supreme Rifle Ammo for Hunting/Target. 25 WSSM, 115 GR, Ballistic Silvertip. Box price, 20 Rounds/Box.